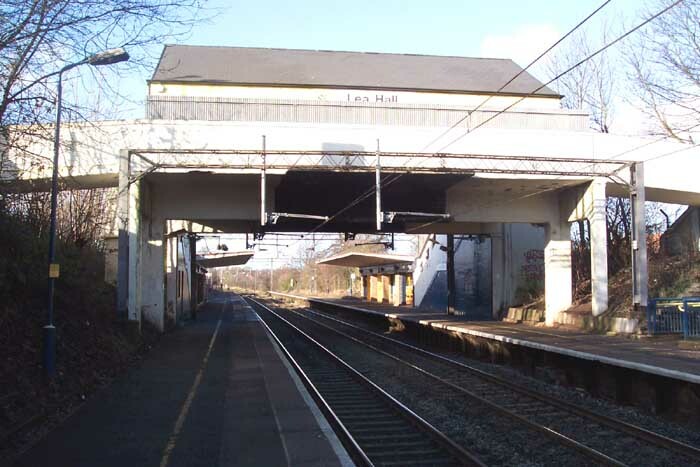 Lea Hall was a relative late-comer to the Birmingham rail scene only opening in 1939 some 16 years after grouping on what was previously the LNWR's Birmingham New Street to Euston line but now was under LMS control. Above we see the garishly-painted station building which is suspended above the tracks. 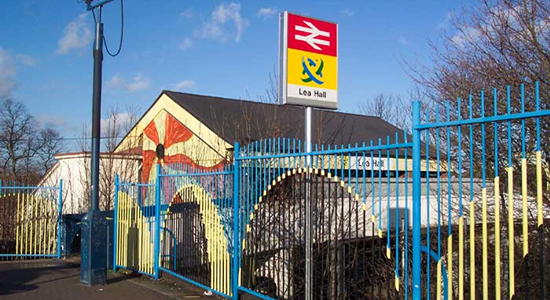 Unsurprisingly, not much has changed at the station - except for the colour scheme - since its opening. 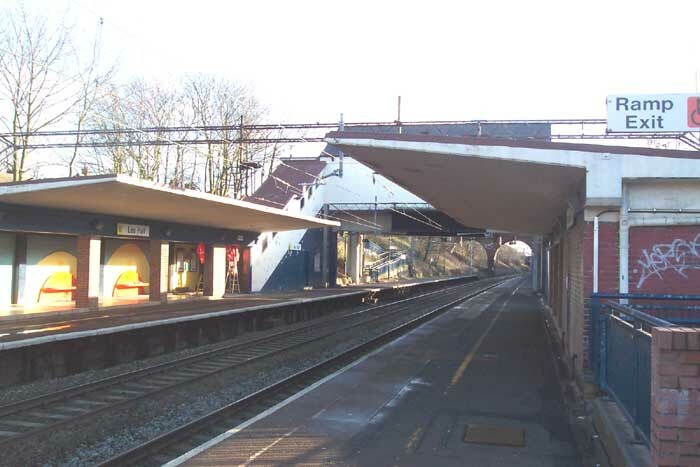 Above-left we are standing on the Birmingham platform looking towards Marston Green through the 'arch' created by the station building and footbridge. Above-right we have walked through the 'arch' and have turned back to face Birmingham and can clearly see the footbridge which is infront of the station building. 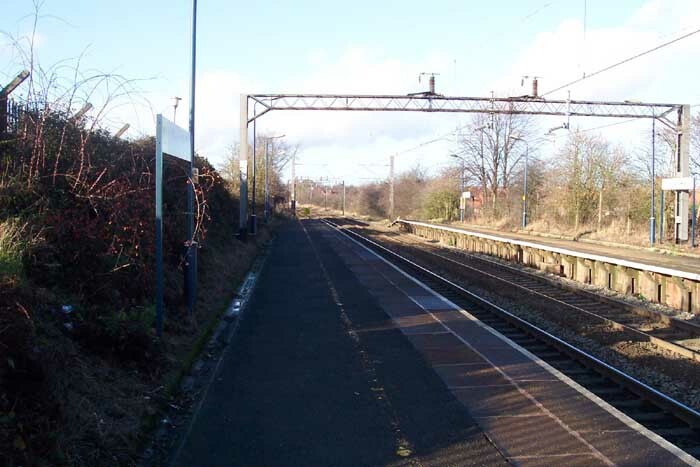 Above-left we are looking towards Marston Green from the end of the Birmingham platform and can clearly see the Lea Viallage overbridge in the distance which, incidentally, has high-sided fencing along both sides: presumably a vandalism problem in the area regarding the railway? 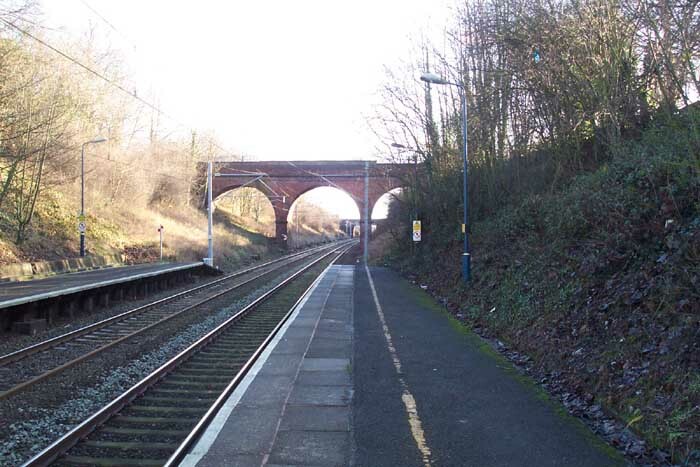 Above-right we are at the other end of the Birmingham platform looking towards Stechford station and onto Birmingham itself. There is nothing particularly inspiring or noteworthy about this station as it was built for commuter demand and, in my opinion, a lot of interesting features occurred due to goods traffic, and apart from showing the railway architecture of 1930s LMS (which is far from great) there is nothing to recommend a visit in my opinion.